What is language and how can we investigate its acquisition by children or adults? What perspectives exist from which to view acquisition? What internal constraints and external factors shape acquisition? What are the properties of interlanguage systems? 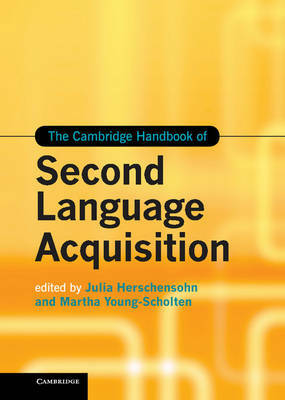 This comprehensive 31-chapter handbook is an authoritative survey of second language acquisition (SLA). Its multi-perspective synopsis on recent developments in SLA research provides significant contributions by established experts and widely recognized younger talent. It covers cutting-edge and emerging areas of enquiry not treated elsewhere in a single handbook, including third language acquisition, electronic communication, incomplete first language acquisition, alphabetic literacy and SLA, affect and the brain, discourse, and identity. Written to be accessible to newcomers as well as experienced scholars of SLA, the Handbook is organised into six thematic sections, each with an editor-written introduction.